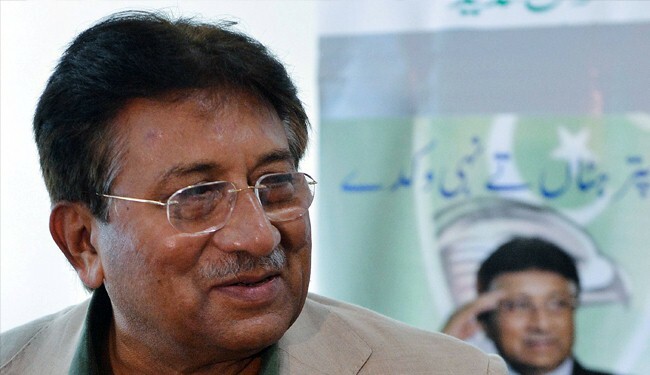 JNN 12 June 2014 Karachi : A court in Pakistan’s southern city of Karachi has ordered the government to remove former military ruler Pervez Musharraf’s name from a no-fly list in 15 days’ time, his lawyer has said. “The court has allowed our appeal and ordered to strike down Musharraf’s name from the Exit Control List. The order will be executed after 15 days,” said Farogh Naseem. The delayed execution of the order “will give time to the government to appeal in a superior court if they so desire”, his lawyer added. Musharraf, 70, flew to Karachi in April to undergo medical tests. He has said he wants the travel ban lifted so he can visit his sick mother in Dubai. Musharraf has been battling several court cases since he returned to Pakistan last year to fight elections, including treason charges for imposing emergency rule in 2007, stoking tensions between civilian authorities and the Military Establishment . His exit from Pakistan could help ease those tensions at a time when the country is fighting a resurgent Taliban following a brazen attack on Karachi’s airport this week. He also faces several murder cases. The former commando has been staying with his daughter in Karachi where he travelled for the tests at a navy-run hospital. He has been having medical treatment since January, when he was rushed to hospital after suffering heart problems on his way to court for a hearing. After his indictment for treason in March, Musharraf asked to be allowed to visit his mother, who is in her 90s, but was denied permission. The ex-General, who seized power in 1999 and resigned in 2008, has pleaded not guilty to the treason charges. Musharraf is also on bail in three other major cases linked to his time in power including the 2007 assassination of opposition leader Benazir Bhutto in a gun and suicide attack, and the murder of Baluch nationalist leader Nawab Akbar Bugti in 2006. This entry was posted in Pakistan News and tagged ECL List, Ex President Prevez Musharraf, Exit Control List, Musharraf, pakistan, Pervez Musharraf. Bookmark the permalink.